This week I'll be blogging about Dave Grohl and the various bands/projects that he was/is involved with. First up on the docket - Nirvana. I can't say for certain, but I'm pretty sure if there were no Nirvana, Dave Grohl may or may not have become the person he is today. Nirvana literally means "blown out", as in a candle. It is most commonly associated with Buddhism. In Indian religions, the attainment of nirvana is moksha, liberation from the repeating cycle of birth, life and death (reincarnation). In the Buddhist context nirvana refers to the imperturbable stillness of mind after the fires of desire, aversion, and delusion have been finally extinguished. In Hindu philosophy, it is the union with the divine ground of existence Brahman (Supreme Being) and the experience of blissful egolessness. 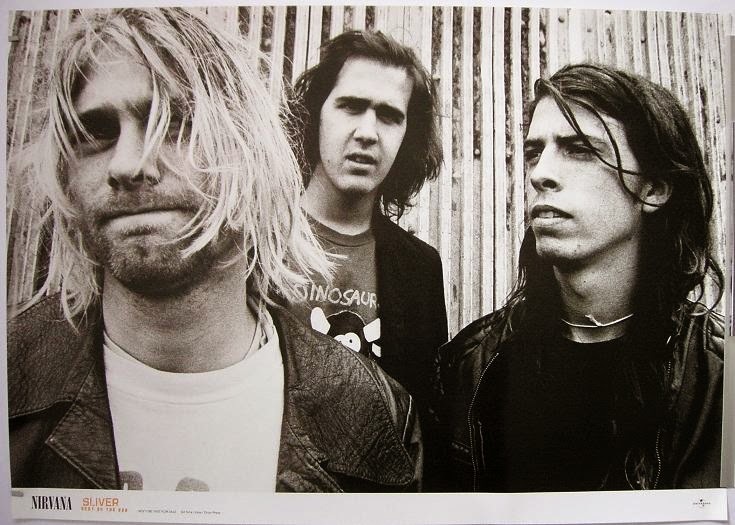 Nirvana's brief run ended with Cobain's death in April 1994, but the band's popularity continued in the years that followed. More than eight years later, "You Know You're Right", an unfinished demo from the band's final recording session, topped radio playlists around the world. Since their debut, the band has sold over fifty million albums worldwide. 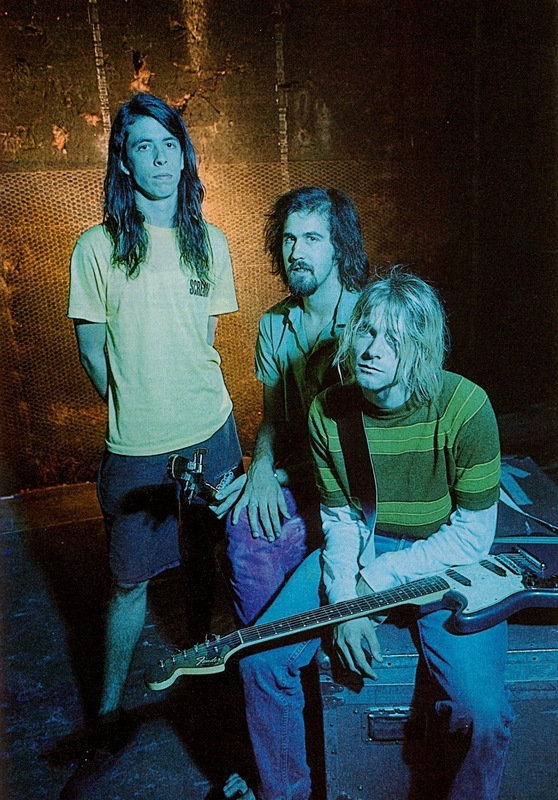 Nirvana are often credited with being one of the most popular and important rock bands of recent years. "Lithium" is a song written by frontman Kurt Cobain. Veering between quiet verses and loud choruses, "Lithium" is about a man who turns to religion amid thoughts of suicide. 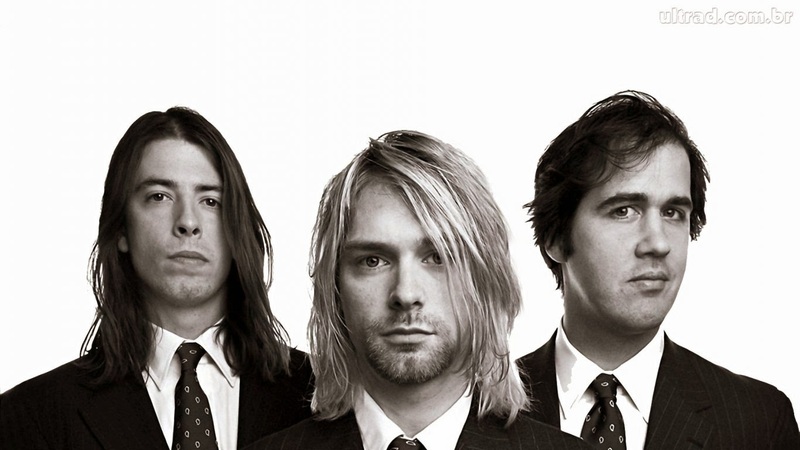 Nirvana biographer Michael Azerrad described the song's title as a reference to Karl Marx's statement that religion is the "opiate of the masses." Cobain said the song is about a man who, after the death of his girlfriend, turns to religion "as a last resort to keep himself alive. To keep him from suicide." While Cobain said the narrative of "Lithium" was fictional, he said, "I did infuse some of my personal experiences, like breaking up with girlfriends and having bad relationships." Cobain acknowledged that the song was possibly inspired in part by the time he spent living with his friend Jesse Reed and his born-again Christian parents. He explained to Azerrad, "I've always felt that some people should have religion in their lives [. . .] That's fine. If it's going to save someone, it's okay. And the person in ['Lithium'] needed it."